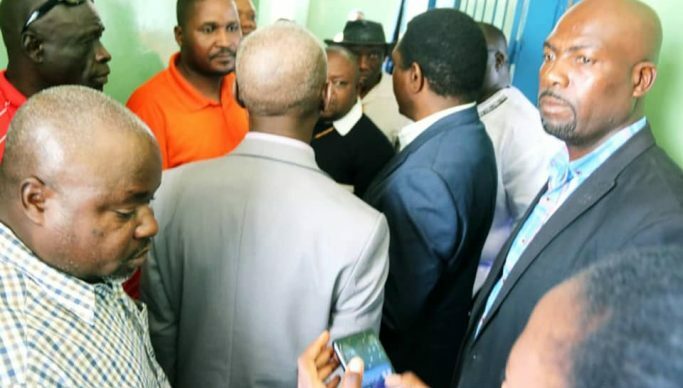 OPPOSITION Patriots for Economic Progress (PeP) leader Sean Tembo who was arrested by police over the weekend has been charged with the defamation of President Edgar Lungu. Acting police spokesperson Danny Mwale in a brief statement said Tembo would remain in police custody until tomorrow when is expected to appear in court. Tembo last week said President Lungu was possibly suffering from a mental illness, which might be the primary cause of his various irrational national decisions in the recent past. Commenting on the various concerns raised by citizens over his earlier statement, Tembo said mental illness was just like any other illness and must not be stigmatized. Tembo said, however in the recent past, the party leadership had noted certain poor decisions made by President Lungu which were too grave to be attributed to incompetence alone, but actually bordered on mental illness or incapacity. He said a case in point is the decision by President Lungu to purchase a brand-new Gulfstream G650 private jet for himself using approximately K900m of tax-payers money, and yet he is failing to pay salaries for his employees in the civil service, local government and parastatal bodies. And speaking when the Alliance gave solidarity to Tembo this morning at Lusaka Central Police where a warn and caution was recorded, chairperson Charles Milupi lamented the detention of Tembo without any charge for two days. And GEARS executive director McDonald Chipenzi has asked the Chief Justice to constitute a medical board as provided for by law to ascertain Tembo’s alleged defamatory statement against President Lungu. And opposition UPND leader Hakainde Hichilema said Zambia needed to respect the rule of law.